Decorate this wreath for any season or event. From cowboy Christmas to western weddings you will have fun with this wall hanging for sure. 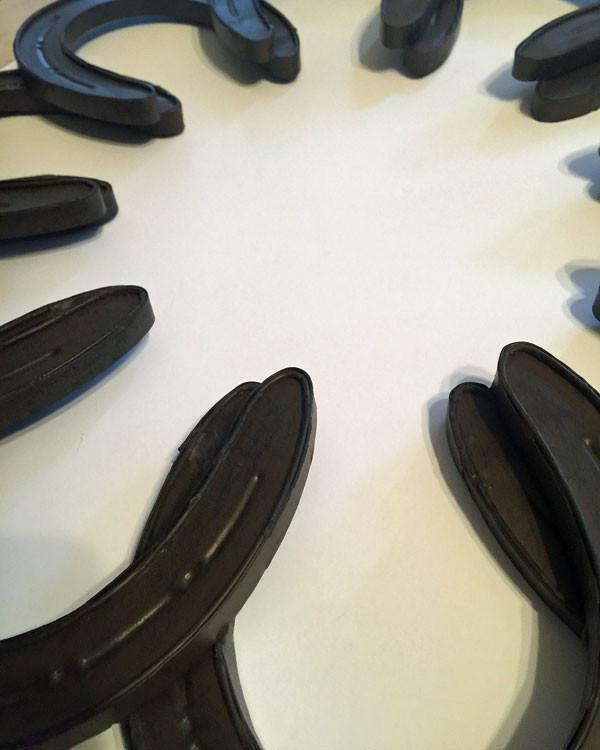 The horseshoes are made of lightweight metal in a rich dark brown which allows it to be dressed fancy or casual and the lightweight allows you to really pile on the decorations. You could even hang it without decorating it at all since it is more like a wall sculpture than horseshoes welded together. 20"
Decorate this wreath for any season or event. From cowboy Christmas to western weddings you will have fun with this wall hanging for sure. 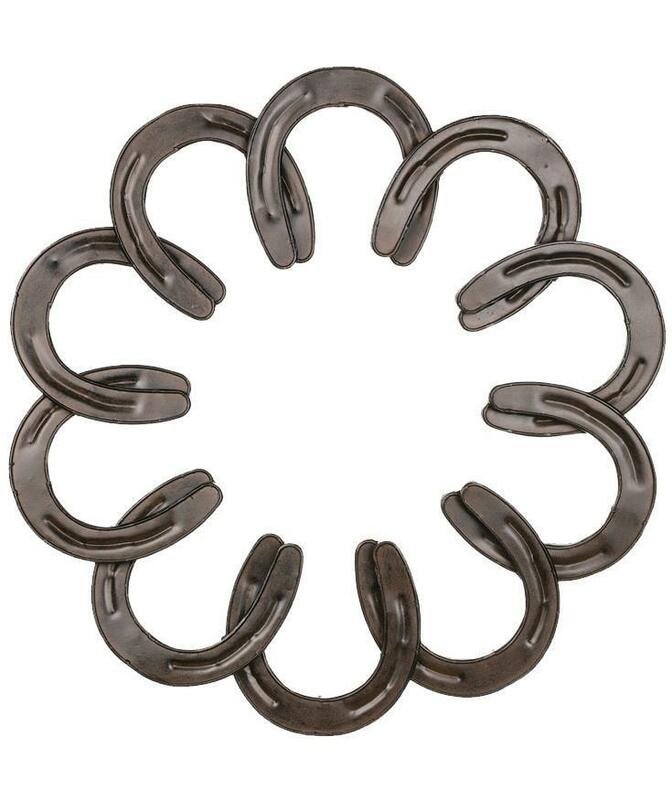 The horseshoes are made of lightweight metal in a rich dark brown which allows it to be dressed fancy or casual and the lightweight allows you to really pile on the decorations. You could even hang it without decorating it at all since it is more like a wall sculpture than horseshoes welded together.